This was a (Class 2 | Cat 1) water loss. The loss was created by a PEX pipe failure located in the kitchen wall. The kitchen, living room, and small dining area required packing out as the laminate flooring required complete removal prior to the dry down taking place. The mitigation contractor could not deploy her equipment until the affected areas were packed out.The merits of off-site storage vs. on-site storage were discussed between the packout supervisor and the policyholder (e.g. temperature fluctuations, theft etc.). This conversation was overcome by events when the policyholder was informed by her neighbor (the HOA president) that the HOA does not authorize deployment of containers in excess of 1 day. 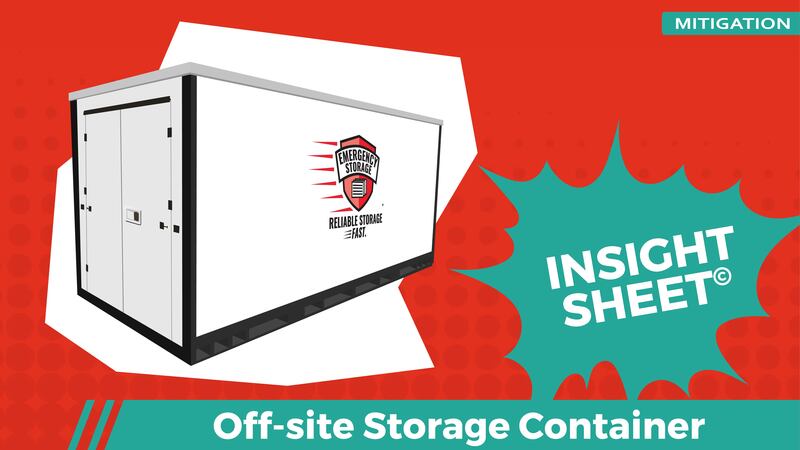 Therefore, the packout contractor contacted Emergency Storage and requested a 16′ container to be dropped between 9-11am and subsequently picked at 8 in the morning (heavy) and hauled back to the climate controlled facility for 2 months of off-site storage. 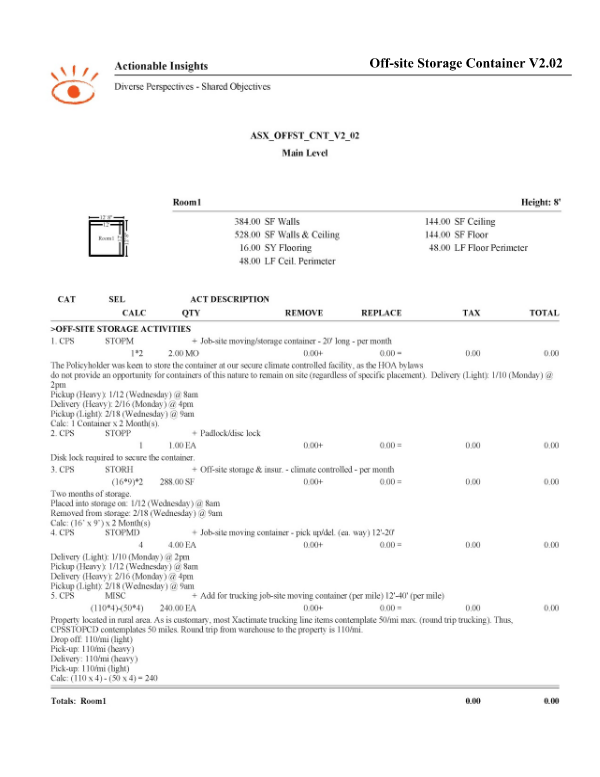 This Insight Sheet exists to clarify how one might invoice for an off-site storage container. This does not seek to include or make concessions for all equipment and/or activities as it relates to a loss of this nature.